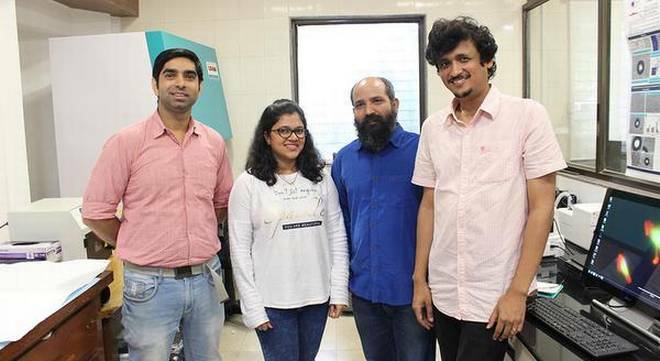 A major obstacle in using human mesenchymal stem cells (hMSCs) to treat a variety of diseases has been successfully overcome by a team of researchers at the Indian Institute of Technology (IIT) Bombay. The team led by Dr. Abhijit Majumder from the institute’s Department of Chemical Engineering found hydrogel plate made of polyacrylamide was a perfect replacement for conventionally used plastic culture plates. Unlike the plastic plates, the hydrogel ensured that stem cells multiplied and retained the stem cell-like nature (stemness) for up to 51 days (20 generations) and differentiated into bone, cartilage or fat cells. The pre-print findings are reported in bioRxiv. When grown on plastic culture plates, the mesenchymal stem cells become large and flat, and also irregular in shape. The cells stop multiplying and growing (reach senescence) after a certain number of cell divisions. While only limited number of mesenchymal stem cells can be obtained from the body, a large number of cells is required for clinical applications. The only way to increase the number in the lab is to allow them to multiply. But multiplication to reach the desired numbers is currently not possible using plastic culture plates. And that is where the team’s success with hydrogel substrate to grow the cells holds great promise. “The problem becomes particularly acute in elderly patients as fewer number of mesenchymal stem cells can be recovered,” he says. Mesenchymal stem cells adhere to the substrate and the cells tend to contract, causing traction force to set in. The traction force applied by cells increases with stiffness of the substrate on which it is grown. Substrate stiffness, possibly via modulating cellular traction, determines how long the stem cells maintain their stem-like nature. Plastic plates have greater stiffness (in gigapascals), while gel used in the experiments have only 5 kPa. “When we used gels that are too soft (1-2 kPa) stem cells failed to proliferate. Cells started dividing as we increased the stiffness of the gel. But beyond 5 kPa, the cell spread area [size] got affected and the ability to maintain proliferation was compromised,” says Sanjay K. Kureel from IIT Bombay and first author of the paper. When mesenchymal stem cells derived from umbilical cord were cultured on plastic plates and gel, the cells lost their morphology and entered senescence much earlier in the case of plastic plates. Similar results were seen in the case of mesenchymal stem cells derived from bone marrow. Thus by 50 days, a huge difference in the doubling time was seen — 512 times more stem cells were obtained when they were cultured on gel than on plastic plates. Put simply, one cell multiplied to become 4 million cells after 50 days when cultured on plastic plates, while one cell cultured on gel gave rise to 2,000 million (2 billion) cells. “We could show that physical microenvironment is associated with senescence. And the use of gel reduces the time taken to attain a large number of cells that can differentiate into specialised cells. This becomes particularly important when we seek to treat patients who are more vulnerable to infection or need immediate therapy,” Dr. Majumder says.